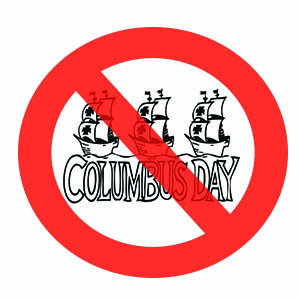 It is time to stop celebrating Columbus Day. Columbus Day celebrates colonialism – and the dealings that directly threaten death and displacement of People of Color in the City of Austin, and around the world, are perpetuated by neo-colonialism. The idea of a foreigner “discovering” someone else’s land and then exploiting those people and land describes the process of gentrification that is plaguing this city. The destruction of Mexican temples so that Catholic churches could be built on top is like the proposed demolition of the Montopolis Church of Christ in East Austin to make way for luxury condos – neo-colonialism presenté. 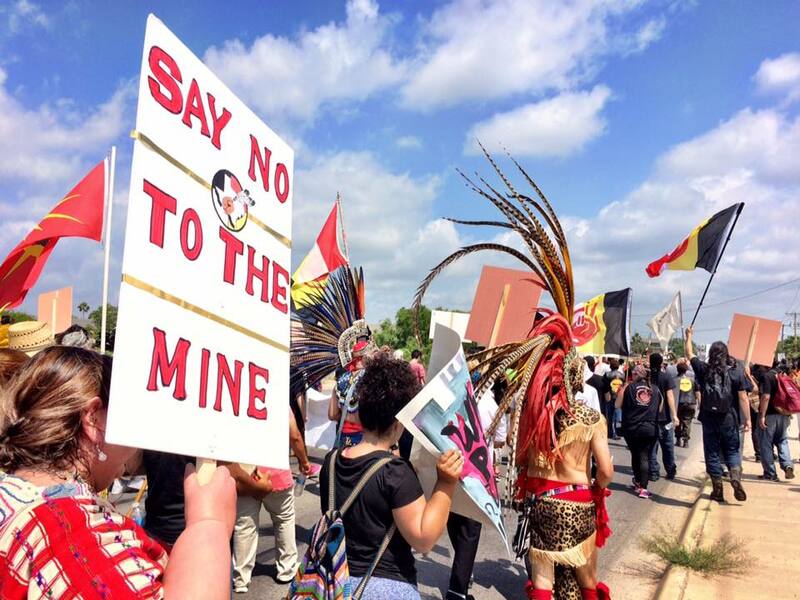 Eagle Pass ­– an important indigenous sacred site – threatened by the Dos Republicas Coal Mine. Every one of these projects is for the export of fossil fuels and leaves nothing for the people of Texas, let alone the Indigenous Natives of Texas. While the riches are not sent directly to Spain, the similarity is painful for those connected to this land. Nevertheless, we have a rare opportunity for our messages to be heard. From East Austin to West Texas – we are all connected to the Dakota Access Pipeline (DAPL) resistance, the largest gathering of Native tribes in modern history. The Sacred Stone camp against DAPL is one act in a long line of indigenous resistance to colonialism. Often Indigenous actions to protect land, water and lifeways are misunderstood in American society. Protecting isolated indigenous peoples who have been successful in resisting industrial capitalism is only part of the solution. The other part is changing the behavior of those who perpetuate the system – and that is everyone else. Industrial capitalism is dependent on the extraction, transportation and consumption of fossil fuels. The products of this system are staggering inequality – where One Percent of the population owns more wealth than the other 99 percent – and Global Climate Disruption, which disproportionally affects indigenous people. This political economy is bad for everyone – and, too, was founded through colonialism. The US government violated every treaty they signed with Indians in order to control land and resources. Whites did more than conquer Native America; they claimed the land as if it had always belonged to them anyway. This spirit lives on in the ongoing destruction of land, robbing of native place names, and in the millions of “quarter Cherokee” wannabes that claim “Native” ancestry. Legal contracts under colonialism have never been honorable; the economic system of extraction, likewise, has never been honorable – both devalue land and people. The system that has dispossessed indigenous peoples of their lands has also dispossessed settlers of reality. If modern settler society is ready to make right with the Sioux or any other Native peoples – they should sign new treaties and honor them. People see the treaty as a thing of past, but I encourage us all to take seriously the task of creating contracts to shape our human and land relationships. Clearly Natives have no reason to trust the US government in making or signing new treaties, but nowadays non-natives are nearly as likely to be cheated. Corporations reap benefits from current laws and land-based policies – not the people. Perhaps a decolonial movement seeking justice and protecting life for everyone, such as that at Standing Rock, will reinvigorate a new era of treaty making and a new political and economic system. How will the settlers renegotiate their governance or their relationship with the Earth? Will it be a reinvestment in Columbus – the genocidal buffoon – reproducing in tandem ignorance and arrogance in a mad rush for power? Or will it be by establishing Indigenous Peoples Day – at least one day out of the year to honor those who did not slip under the tide of exploitation that founded this society; that resisted their demise through maintaining attachments with their land and lifeways at all costs; those who still form ranks against the utter destruction of the land, water and culture from North to Dakota to Eagle Pass to East Austin? 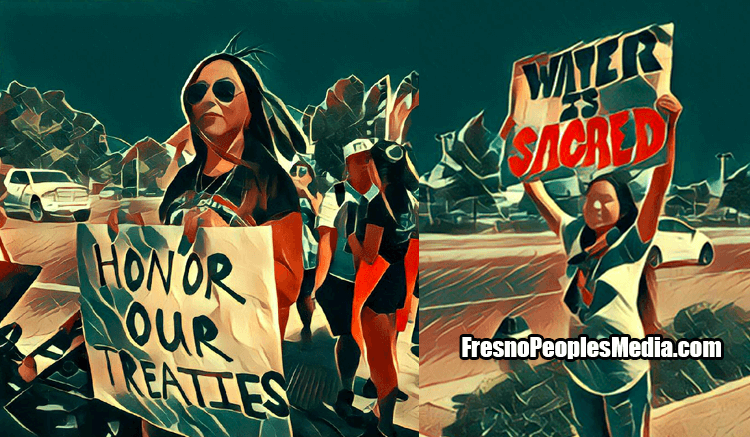 We, Natives, are turning the tide. Join us in remaking our society an honorable one, where people evolve beyond the blind pursuit of power and towards equity amongst people and equilibrium with the Earth. Join us in celebrating Indigenous Peoples Day! The City of Austin has issued a proclamation re-naming Columbus day to Indigenous Peoples Day – and hopefully next year we will celebrate a full resolution making this change permanent and marking the first step in a new age of treaty making.